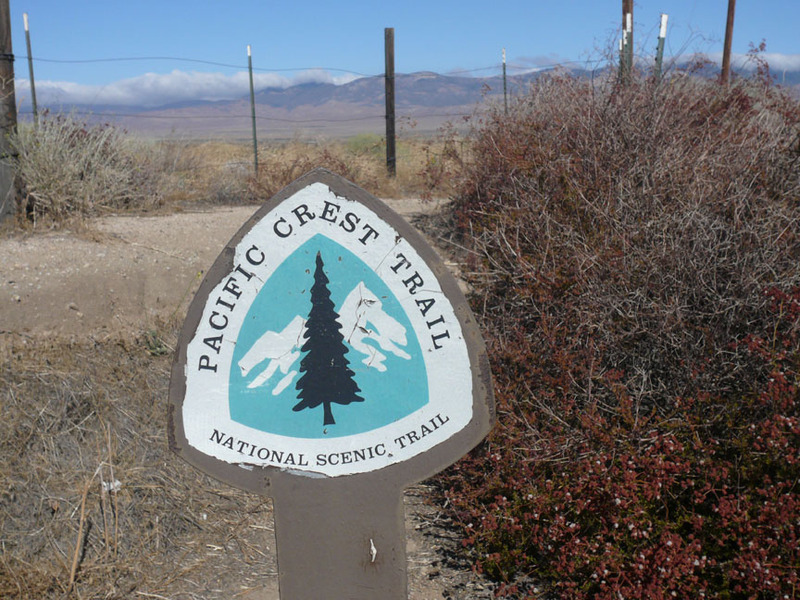 The idea to hike the Pacific Crest Trail did not come suddenly. In fact, I think in some ways, it’s been inside of me waiting to sprout ever since I was a little kid. Back in those days, I would occasionally accompany my Dad when he took his Boy Scout troop deep into the Sierra mountains. Backpacking and outdoor recreation were two of his greatest loves. Thankfully, I have many great lessons and memories from those days! My Dad passed away in August, 2009, of complications from congestive heart failure. Even though it was difficult for him to talk for very long before growing weary, we had some good conversations during the time he was in the hospital. 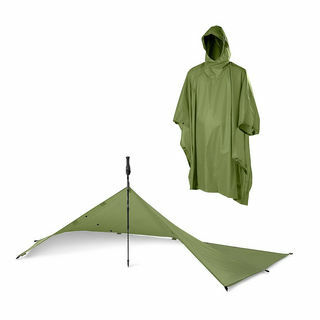 One of the last pieces of advice he gave me, as a father to son, was: “Be prepared.” The Boy Scout motto. How awesome! There is a particular struggle that goes on within the heart and mind of anyone that has lost a parent, I believe. As we come to terms with their loss in our lives and those around us, we do a lot of thinking, and sometimes that process leads to change. One such “change” for me was to get back out and do what I had always loved to do: backpack, while I was still able to. So I started researching backpacks…places to go backpacking nearby…wilderness survival techniques…even knot tying…and as I was firmly camped one night on Amazon.com reading through bits and pieces of books on backpacking, I came across a book called: “Dances With Marmots,” by George Spearing. It’s a book about the adventures of a firefighter from New Zealand while he hiked the PCT. Then, I read another book on the Pacific Crest Trail…and another..and started researching the PCT…fact pages, articles, finding old blogs from folks who have hiked it before, or were about to set off on their 2010 attempt. I couldn’t get enough of it! Then one day in June 2010, as I was hiking back from an overnight backpack on the Tahoe Rim Trail, it hit me: I can hike the PCT to raise money for the organizations I am already trying to raise money for! It made complete sense …Thus, the crazy idea to actually hike the PCT was born. Of the 300 or so thru-hikers that attempt the whole trail in one season, about 30-50% or so will make it. Last year, 59 were officially recorded as successfully making it from one end to the other. The PCT stretches north from the Mexico border through California, Oregon, and Washington state and ends just across the Canadian border in Manning Provincial Park, near British Colombia. The trail passes through six out of seven North America ecozones, 24 national forests, 33 federally mandated wildernesses, and 7 national parks. In miles, it measures 2,650. In steps, an estimated 6 million. In gallons of water consumed, calories burned, and blisters tended to? I’ll get back to you on that. I will be posting blog entries along the way so you can follow along on my preparations and what it will take to make this happen. I will also be keeping a video journal (filmed in hi-def) and posted both here on the blog as well as my YouTube channel, “ThruHike4Freedom.” Below is a map of the PCT…If you’d like to meet me for a meal in one of my scheduled resupply towns, or want to hike a ways with me, please let me know. I’d love that! That, in a long nutshell (I have been known to make short thoughts into something akin to Homer’s “Iliad”…I’ll try to keep that in check for all of our sakes… 🙂 ) is the fuel for this attempt at the PCT, and the fundraising efforts that I’m putting together for it. Please honestly consider donating to the causes I am hiking for, and praying for my trip. Thank you & God bless! This is awesome, Dug! When are you doing this? We want to meet you in Oregon! This sounds great. SB isn’t anywhere near your trail, but I’d love to see you before you left!!! and you can Finally meet Ivan! Dug! This looks like it’s going to be amazing. I’m super excited for you. The website is great too. How long does it usually take to walk this bad boy? looking forward to reading about your journey..
wow. i hadnt read this before. im coming to California mid April, ill do my best to send positive vibes your way! well done, im in absolute awe. Wow…kudos to you for taking a very difficult situation in your life and using it for something good. I’m sorry to hear about your Dad, but I’m sure he’d be proud of your for taking on this trip. What a beautiful story you will have to tell when you’re through. What a great way to honor your dad. I lost my father in Nov.2006 and I haven’t done anything so significant, but I honor him by donning one of his old flannel shirts whenever I work on my car (he was a mechanic). I hope you have an amazing time and I look forward to reading about the hike. Thank you for that…and I think what you do is VERY significant. Some don’t do anything, others visit gravesites, it really is an individual thing. But I would say what you do would not only make him smile, but feel very, very loved. I appreciate the way you remember him. :). Thank you for following along!